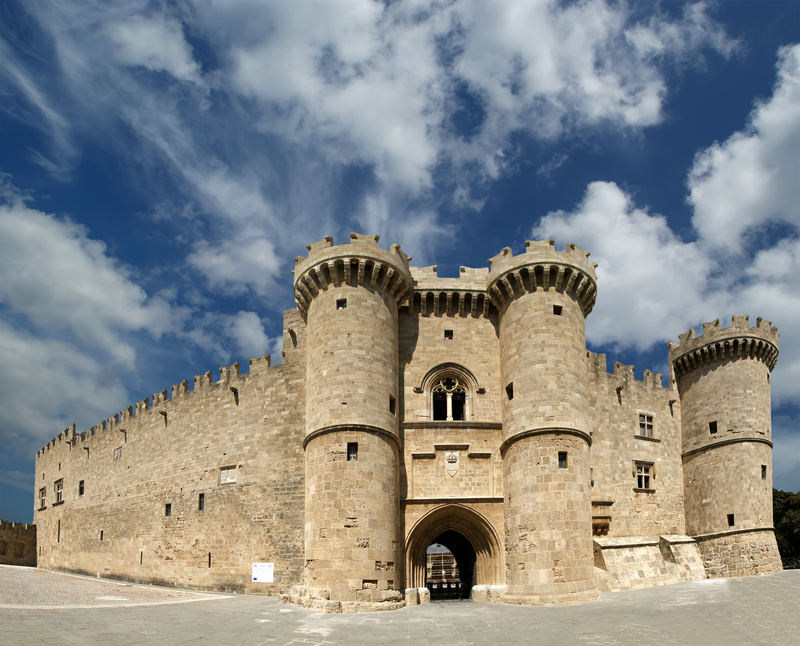 The most prominent historical and architectural landmark of the medieval city of Rhodes is the Palace, the administrative seat and residence of the Grand Master of the Order of the Knights Hospitaller. 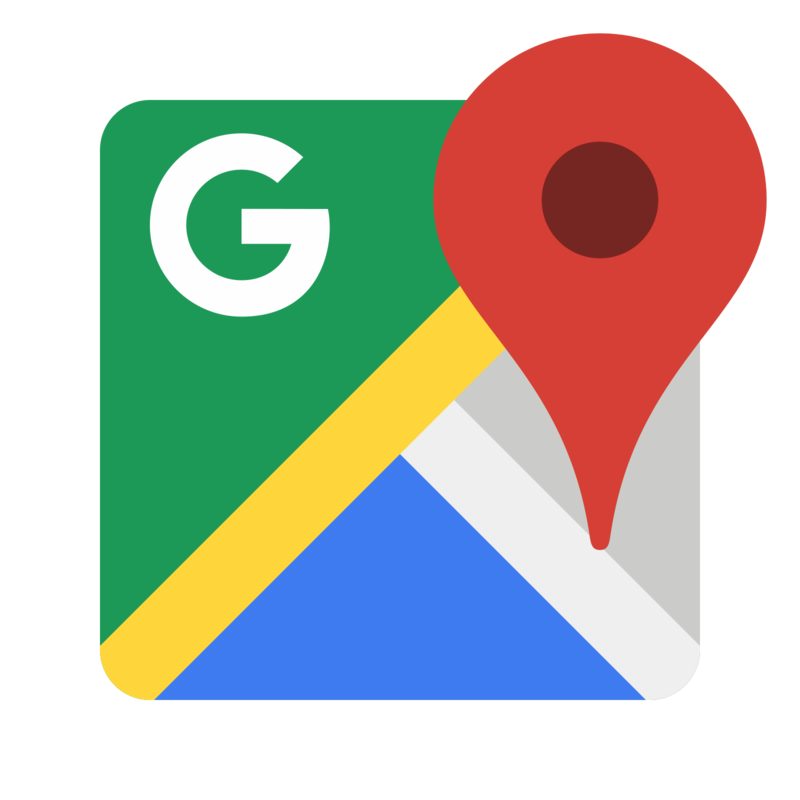 The palace was founded in the early 14th century, in the place of the Byzantine fortress of the 7th century AD, in the northwest edge of the medieval nucleus of the city. With imposing towers, a large internal courtyard, massive walls and elaborate decorative elements, the palace comprises a typical example of the defensive monumental architecture, bringing to mind respective architectural patterns of medieval Europe. In 1856 the Palace of the Grand Master and other monuments of the medieval city, were severely damaged due to an explosion of gunpowder. Its current form is owed to the extensive restorations made by the Italians during the years of the Italian occupation of the Dodecanese Islands (1912-1947). The building is rectangular in plan and divided into three levels. On the first floor visitors can tour the large Hall of the Council, the Knights’ dining hall and the private chambers of the Grand Master. The mosaics, that decorate the floors, derive from ancient buildings of Kos and date to the Late Hellenistic, Roman and Early Christian times. The Italians transferred them in the 1930s, in order to decorate the palace. But the palace is also worth visiting for its two permanent archaeological exhibitions, which are housed in the arched halls of the ground floor. 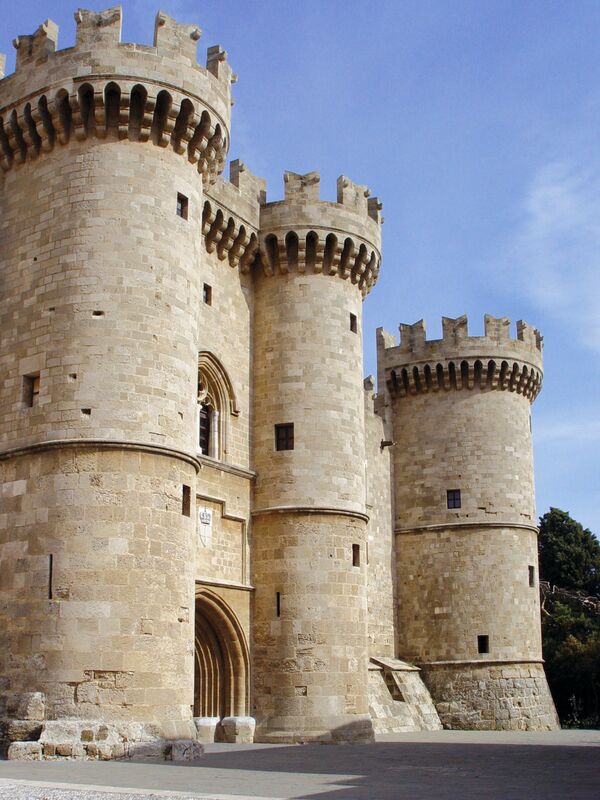 The first exhibition, titled "Ancient Rhodes - 2400 years" was inaugurated in 1993, the year of celebrating 2400 years since the founding of the city of Rhodes (408/7 BC). The collection includes various finds brought to light by the archaeological research on the island. 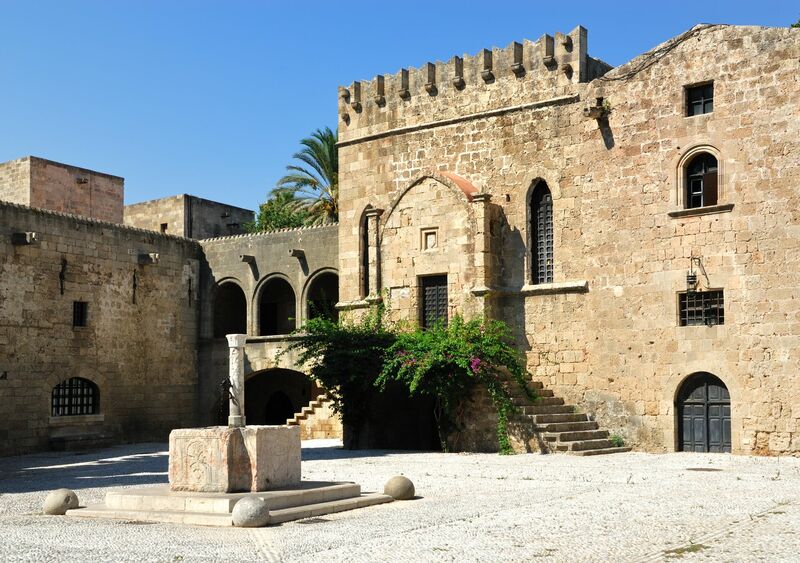 The second exhibition, under the title "Rhodes from the Early Christian period to the Turkish conquest (1522)", is related to the development of the city of Rhodes and the daily life of its residents from the 4th century AD until the beginning of the Ottoman period.